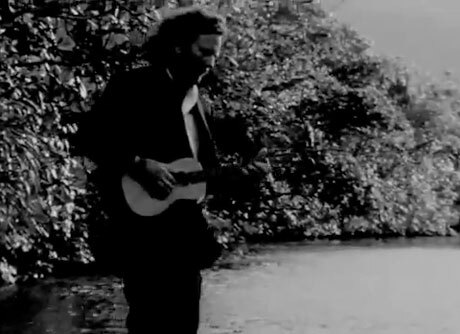 We've been hotly anticipating Eddie Vedder's Ukulele Songs, which finds the Pearl Jam frontman abandoning his usual gritty rock sound in favour of stripped-down acoustic ditties on the Hawaiian instrument. He's now unveiled a video for the single "Longing to Belong," which expands upon the nautical theme of the album cover with footage of waves and Eddie playing on a beach. Check out the video below and get set for Ukulele Songs on May 31 via Pearl Jam's Monkeywrench Records.